When we learn the fundamentals of organic chemistry, we tend to receive trivialized material where many details are omitted for clarity. I think this is not only essential, but is also critical to the establishment of a solid chemistry foundation. The trouble is that we leave our students in the dark when it comes to gaps. I suppose graduate school is expected to take care of those gaps… Let’s look at Sn2 chemistry at sp2 centers. This should not work, yet Professor Narasaka has spent a good portion of his career perfecting these kinds of reactions. Below is a reference to a review he has written and an example of a well-known Sn2 substitution at a hydroxylamine nitrogen center. The fact that the syn-form does not lead to any product formation supports the feasibility of backside attack (and so do many other detailed mechanistic studies). 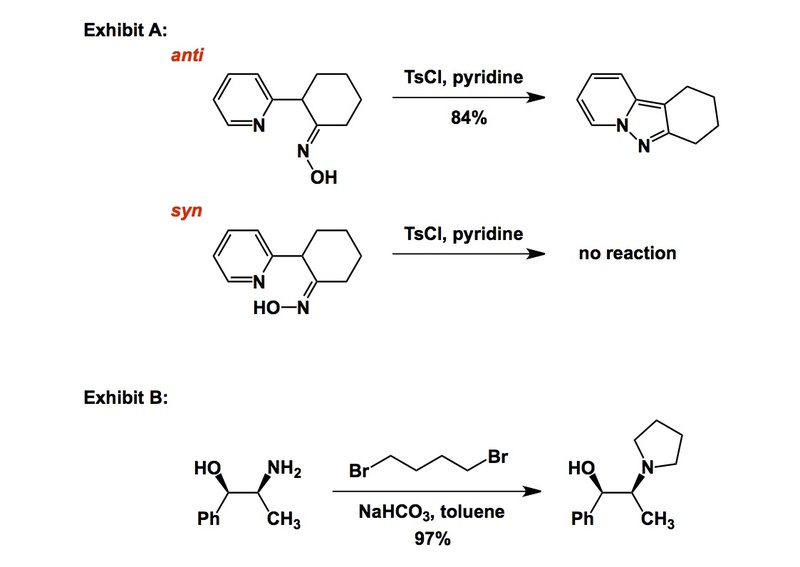 Another example I include comes from Merck and shows an awesome and scalable way to make pyrrolidines. This high-yielding process employs an alkyl halide, which is a “no-no” when we teach undergraduate chemistry. 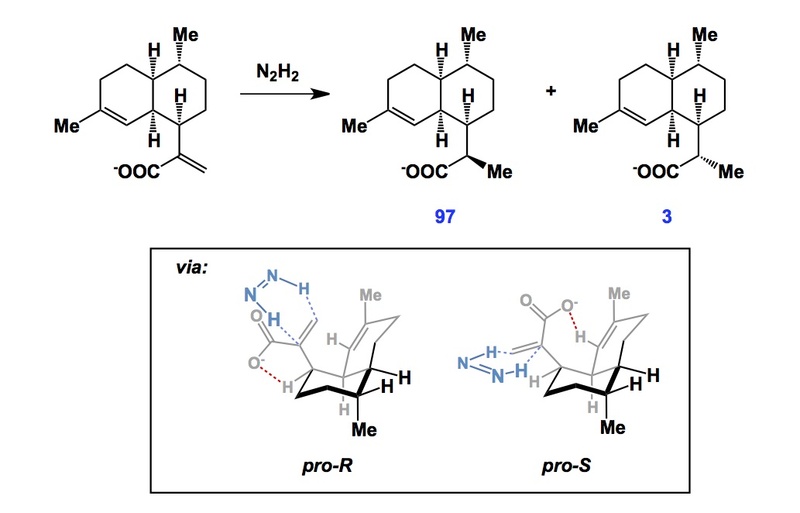 This is due to overalkylation nightmares (“since this cannot work, let me tell you about the Gabriel synthesis…”). By the way, if you take a look at the reference, you will note that this chemistry works on a multi-kilogram scale and delivers fantastic yields. You can also use similar reactions to make piperidines and morpholines, the cornerstones of drug discovery. Is there a way to somehow connect the fields of organic chemistry and epigenetics? It seems that these are apples and oranges, but I will try to come up with an angle on this Monday night. Let’s go to the Nobel Prize awarded for Physiology or Medicine in 2012. The recipients, Shinya Yamanaka and John B. Gurdon were rewarded for their contributions to the field of stem cell biology. Here is a “Cliff’s Notes” summary of what Yamanaka did. The ES (embryonic stem) cell corresponds to the top of the “Waddington’s landscape” shown below. Differentiation into a myriad of cell types found in various tissues is akin to the ball shown above sliding down one of the valleys. The discovery of induced pluripotent stem cells is what Yamanaka’s lab is known for. He and his students found that there is a simple combination of protein factors that can take a differentiated cell (at the bottom of the landscape) and reprogram it back into the pluripotent state on top of the diagram. This was a remarkable discovery no one wanted to believe at the time of its disclosure. It took Jaenisch’s lab to reproduce Yamanaka’s experiments for the research community to buy into induced pluripotency. I am not a fan of this man, but there is something I can take from his statement. I flew into Boston about an hour ago. My plan is to visit Schrodinger over the next two days (www.schrodinger.com), a software company that delivers innovative solutions in the area of computational chemistry. In our fragment-based work, we rely on their Glide package, which allows us to model some of the scaffolds we pursue against our protein targets in collaboration with the SGC. Having said that, my main interest over the next 2 days is going to be Jaguar, which is a quantum chemistry program I have been interested in for a long time. Pretty much all of my students who use computational tools resort to Gaussian, which is something I myself used back at USC where I was a graduate student between 1992 and 1996. Now that I use Glide for my own docking needs, I consider it more sensible to stick to the same platform, hence my keen interest in Jaguar. On another note, there are several interrelated themes in what I just wrote. Speaking of fragments, one of my PhD students got a job offer from a very innovative UK company that is active in the area of fragment-based approaches. I will not disclose the names as this is “too hot off the press”, but I did have a shot of brandy with my elated co-worker at 9:30am this morning. Continuing on the theme of my former students, I am off for a dinner at Legal Seafood with Zhi He (currently a PDF at MIT) and Ben Rotstein (currently a PDF at Harvard Medical School). We just got our Chemical Reviews article accepted, which is why we will have some more drinks with Ben as he is the leading author (Serge Zaretsky and Vishal Rai are the co-authors and I tip my hat off to them for a year’s worth of work). I will post a link to this article at some point soon.